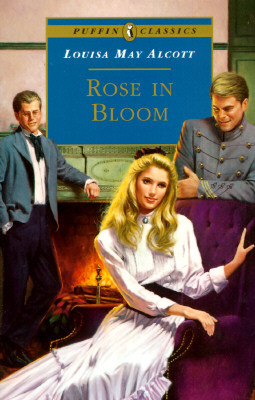 The result of the Classics Club Spin has been announced - the number was 1, which means I will be reading Rose in Bloom by Louisa May Alcott. I've been meaning to read this for ages (since I read Eight Cousins, which was over three years ago) so I'm glad that I've finally got an incentive to get on with it. It's also not too long, so it shouldn't be difficult to finish by the deadline, which is December 1st. As far as reading books on my list is going in general, I haven't been making a great deal of effort with it lately, but I'm hoping to get around to reading more of the books on it soon. I'm currently reading The Fellowship of the Ring (after watching the Lord of the Rings films for the first time a few weeks ago, I've decided I need to get around to reading the books too), which I'm about 75 pages into, and am enjoying, although it's quite a slow-paced read. As well as Rose in Bloom, I'm also hoping to start Clouds of Witness soon, since I currently have it out from the library. After that, I'm not sure - I'll see where my inclinations lie. LotR speeds up eventually. In fact, the end feels pretty rushed and I think Tolkien should have added some more pages.